Weekday Weight Loss is the step-by-step system that teaches you how to lose weight and keep it off. You'll learn that by eating filling food on weekdays you can make room for a little indulgence, without the guilt, on Saturdays and Sundays. Because life's too short to diet on the weekend!!! 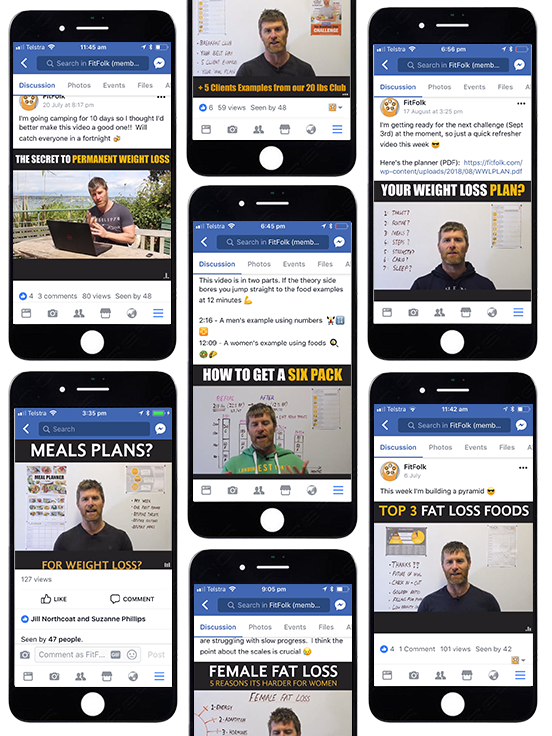 EXTRA BONUS: For a limited time all new members get a personalised video (around 5 minutes) to explain their Weekday Weight Loss plan. 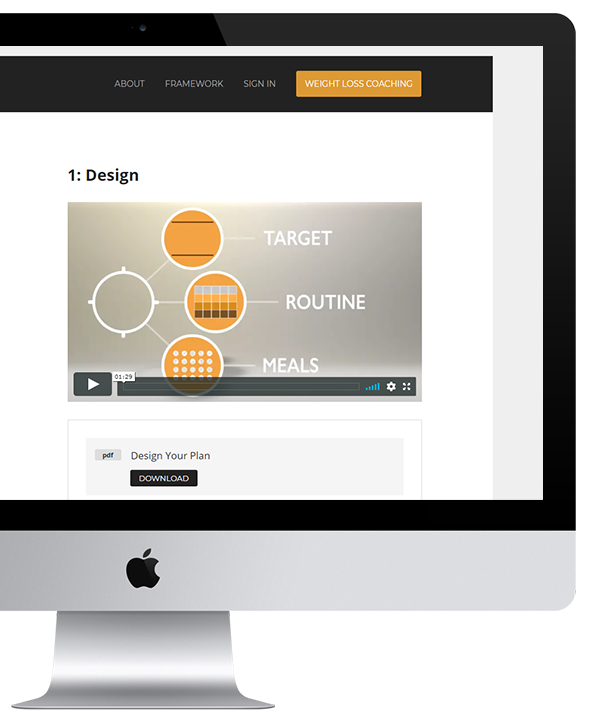 I take your details, run your numbers and customise your plan in a +5 minute video shared via a private vimeo link. Can't wait to see you on the inside!! You'll learn the three elements that help you lose weight, stick with it and keep hunger at bay. And finally, to stop feeling guilty about food. We aren't trying to 'stick to the plan', we are trying to build your best plan!! Colin in the UK (lost 35 lbs): Weekday Weight Loss has given me a simple script to follow each weekday to achieve my weight goals. I'm two thirds of the way to my goal weight and I've got a clear path of how to get there. It's the simplicity that was key for me. And I'm faster up the hills on my bike!! 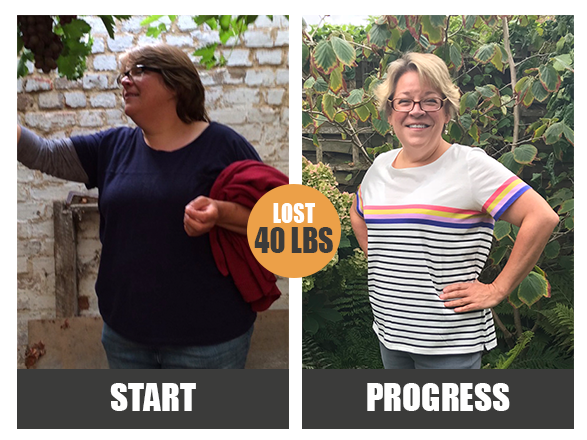 Liz in the UK (lost 40 lbs): I've learnt so much. For the first time in my life food is not the enemy. Food is a tool that I am in control of and enjoying all the more. Lindsay is a pragmatist. The extensive research he has done, he enthusiastically shares, allowing me to fully understand the process. I no longer feel chastised, just encouraged. It's up to me and my body as to what works best. It's a learning curve and a liberation. I feel happier, stronger and have so much more energy. 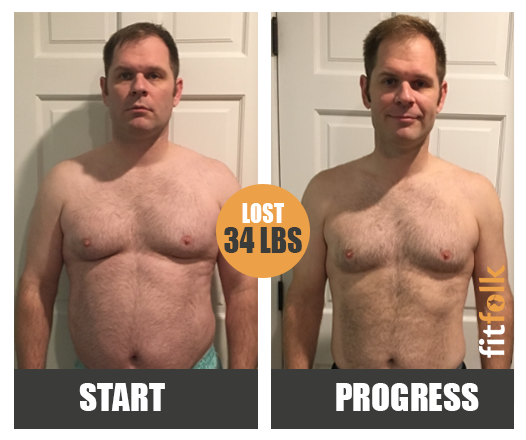 John in US (lost 34 lbs) - It's been a wild ride and I can't believe I'm still here after 6 months. I had a goal weight of 195 lbs, but I recently hit 185!! My progress has been more than I could ask for and I'm really thankful. I have accomplished something I NEVER thought I could accomplish. I'm 5 lbs below the weight I was when my wife and I got married in 2011, unreal. 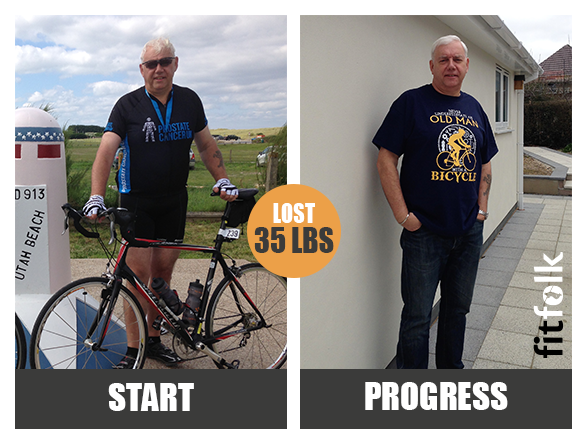 Ben in Australia (lost 34 lbs) - WWL helped me remove ‘willpower’ from the weight loss equation. For the last 15 years, I’ve relied on occasional periods of intense mental focus to eat less and exercise more to lose weight, only to have more weight return at a rate of knots after a few months. Completely unsustainable, and made harder to repeat the process. WWL teaches you a ‘skill’ which you never forget, making weight loss a sustainable practice to suit my personal environment... it still doesn’t mentally feel like anything has changed in my lifestyle. 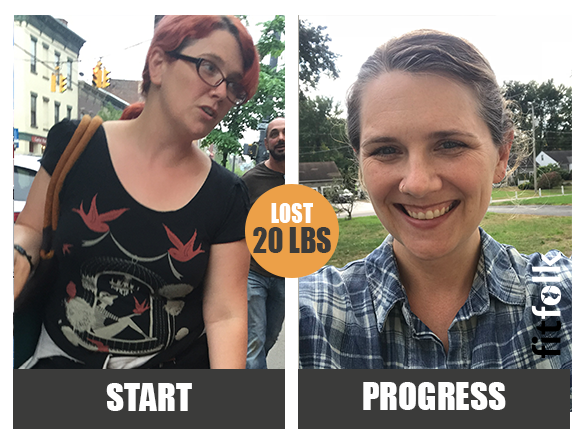 Emily in the US (lost 20 lbs) - I knew from past efforts that it was going to be a slow process, and that I'd need help finding the right track and staying on it. Lindsay did a great job of helping my organise my weight loss around my life, and gave me plenty of freedom to stop and start again when I needed. Weekday Weight Loss is by far the most sustainable thing I've tried and has given me the skills to keep on losing." 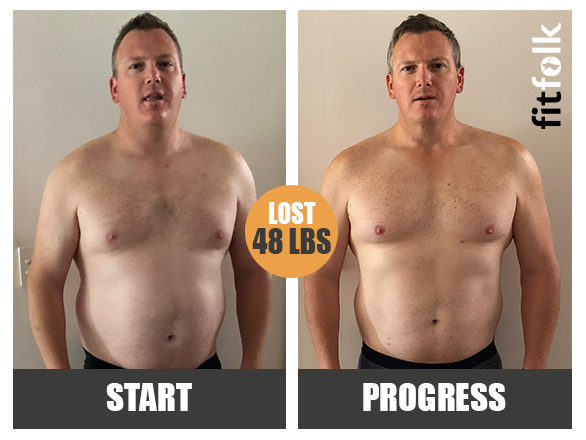 Greig in Scotland (lost 20 lbs) - With Weekday Weight Loss I've lost a noticeable amount of weight but at the same time feel like I have more freedom in my food choices. The evidence-based nature of Weekday Weightloss really appealed to me, and the content has given me the skills and knowledge to make my weight loss sustainable in the future. To lose weight and keep it off you need to make permanent changes!! So rather than do things that are really hard (quit carbs, fasting, liquid diets . . ) we focus on simple changes that you can actually stick with, like enjoying filling meals on weekdays. That’s why you get the weekend off!! It makes the process a whole lot more sustainable. The people who have thrived are those that have a quite regular meal pattern on Monday to Friday. If you often repeat meals already, we can use that to our advantage. If you are willing to focus on making more filling meals on weekdays you might do great. There's only one way to find out, and you can cancel at any time if it's not a good fit. 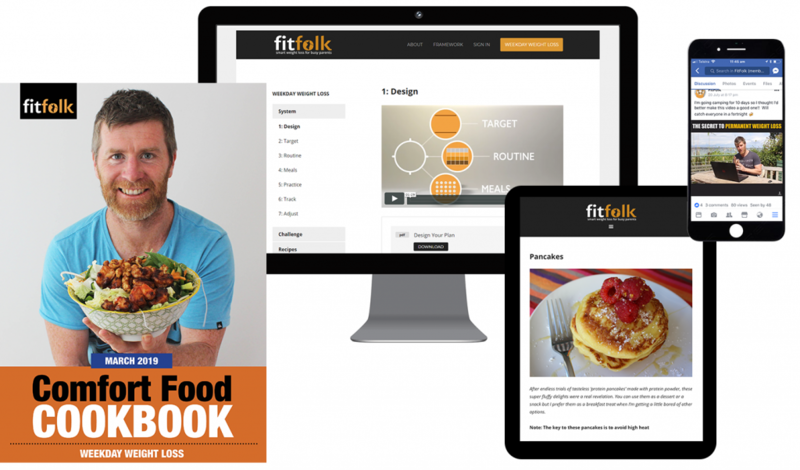 It's designed for time poor people that have struggled to find a sustainable approach to weight loss in the past. At present our members are 30-70 year old women and men from the UK, US, Canada, Australia, New Zealand, Switzerland and the Netherlands. The people who’ve done best to date have lost 5-10 lbs in the first month. 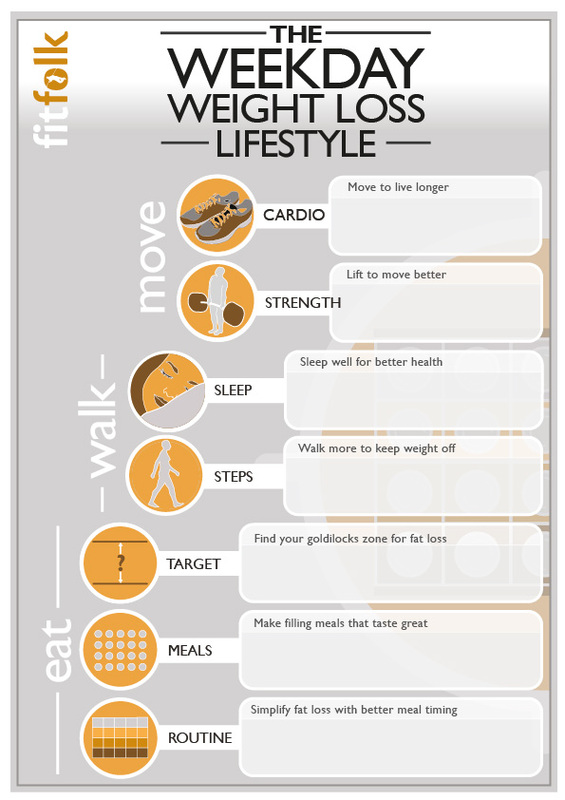 This varies a lot depending on your starting weight, how active your lifestyle is and how aggressive your target is. But as a general rule those who start well have performed better in the long run. Is this a low carb program? No. The science is very clear that there is no metabolic advantage to either low carb or low fat diets. You will be encouraged to leave the fat/carb dogma behind and instead focus on eating more protein and more fibre, as these are the macronutrients with the best evidence base for lasting weight loss. I personally lost 50 lbs eating oatmeal for breakfast, but have clients doing great on low carb as well. Can I eat as much as I like on the weekend? You can eat more on the weekend, but no, this isn’t a fad diet. Science shows us that people naturally eat more food on the weekend, so rather than fight this we simply embrace it and focus on creating our deficit during the working week. Just $19/month . . . why is it so cheap? The program was originally a one time fee of $97 for a 10 Week Challenge (or $197 with coaching). By changing to a monthly membership we can ensure everyone gets value for money, and make it accessible to people around the globe. If it’s not a good fit you can simply cancel. If you get great results we hope you will stick around. Will membership continue to be $19/month? Once the website and recipes sections are more complete we will probably raise the price. But those members who take a chance on us at this early stage will lock in their cheap membership for as long as they want it. How do I cancel if I no longer want my membership? Send an email with the title ‘Cancel’ to support@fitfolk.com at any time and we’ll remove you from the Facebook group and cancel your membership immediately. No questions asked. Do I have to track my calories or macros? You can if you want to, but our main focus is meals. Tracking is really educational right at the start of a fat loss phase, or indeed if you plateau, but taken too far it can be bad for people’s relationship with food. So we focus on meal patterns, which are more positive. No, but I’d really like it if you did!! Exercise is actually surprisingly ineffective for losing weight but it’s wonderful for health, mobility and keeping weight off. My preference is for clients to take it easy to begin with but increase their activity as the weight comes off. It is useful to have a step count from your phone (or fitbit) if possible as I encourage everyone to walk more. Can I do my own workout plan? Totally!! We’ve got people that swim, run, lift weights, do crossfit, triathlon, pilates, yoga, circuits, boxing . . . I encourage everyone to find exercise they enjoy because sustainability is the key. For those who are interested I discuss walking, cardio and strength options. Will I get hungry following WWL? Hunger is tricky. Our aim is to help you find a routine and sequence of meals that minimises hunger. We'll also encourage you to organise your day so that hunger is more likely when you're distracted. But yes, hunger is a natural side effect of weight loss. So you might. Will it work for people who just want to tone up? This plan is primarily aimed at people who have at least 20 lbs (9kg) to lose, but you could adapt it to less aggressive goals if you really wanted to. If I take a break, or miss a week, will I be able to start again? Actually, taking occasional breaks is recommended!! A series of recent studies show intermittent weight loss yields superior long term results compared to continuous dieting. I encourage everyone to take breaks around holidays or social events. Is the system safe for me if I have health conditions or I’m pregnant? At present the program is set up for people who are overweight but otherwise in good health. Until we have greater resources we can’t cater to people with complex health condition or pregnant/breastfeeding mothers. Do I have to drink protein shakes or take supplements? No. You can make protein shakes if you like (they have a strong evidence base as meal replacements) but our primary goal is to focus on making filling meals during the week. Any supplementation is completely optional. I’m a vegetarian, will this work for me? Many of our earliest members are largely plant based. 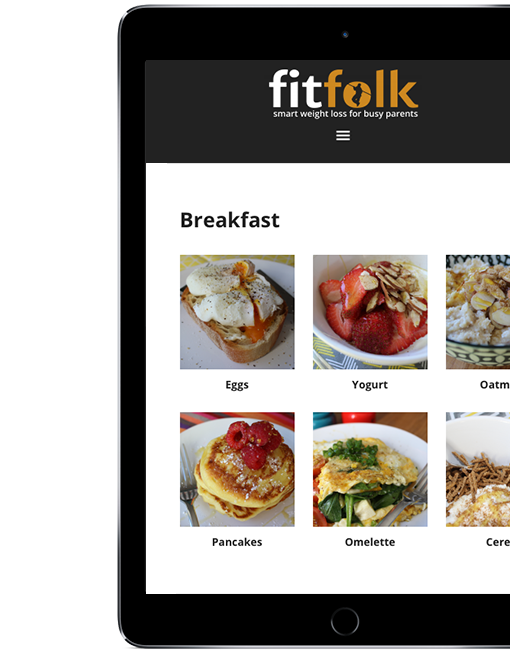 You can use the system with any foods, but will have to adapt the recipes to fit your needs. In time I hope to expand the plant based options as having a mix is good for everyone. Will I be allowed to eat pizza? Sure, almost all our members drink socially. But drinking in excess will slow your progress, and effect your health, so we try to keep it limited. The most common approach is to limit midweek drinking then relax a little Fri/Sat. Is there a “minimum contract” or "cancellation fee"? No. You can cancel at anytime during your free trial or membership without any fees. It’s just cheap membership similar to paying for a newspaper or magazine. We expect you to get tremendous value from Weekday Weight Loss. The catch is that if you want lasting weight loss, you'll need to create permanent change. I want to teach you how to make filling weekday meals. Meals that will help you lose weight, keep it off and improve your energy levels. So you'll have to put in the effort!